Polo is indeed a very well-known brand in our world. The American corporation is one the global leaders in premium lifestyle products, including fragrances. Now, if you are looking for a Polo fragrance for men, there is a huge chance that you are now considering either Polo Blue or Polo Black. Coming with each own distinctive color, Polo Blue and Polo Black are both popular on the market. So, which is the perfume that you should choose? Before you make a decision, make sure that you know the differences between these two attractive scents by continue reading below. While both Polo Blue and Polo Black are well-blended youngish fresh scents, Polo Blue is the fresher and lighter one. Created by Carlos Benaim and Christophe Laudamiel in 2003, Polo Blue is a fun and fresh fragrance. The smell can energize you. It features melon, mandarin orange, and cucumber as the top notes. It is then empowered by the sweet and smooth middle notes of basil, sage, and geranium. Musk, suede, and woodsy notes come to form a solid warm base. Polo Blue has moderate sillage and longevity, so it makes an excellent choice for prior-event reinforcement. 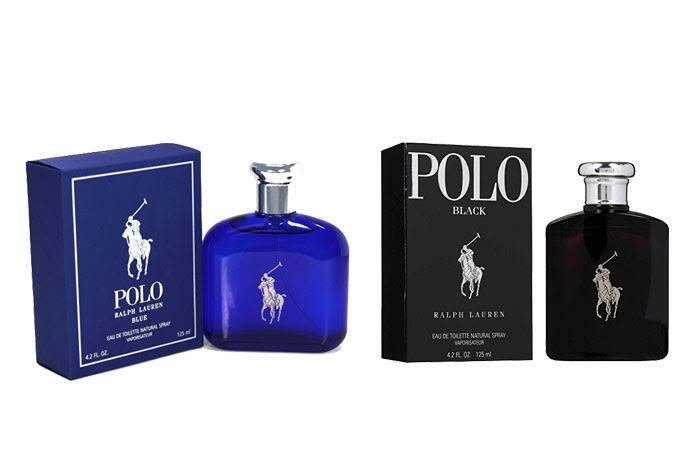 On the other hand, made by Pierre Negrin and released in 2005, Polo Black is a fresh but heavier fragrance. The bold scent makes it a unique and distinctive smell, allowing you to emphasize your presence and confidence. The most notable note of Polo Black is the iced mango note, which delivers a sharp, cool and chilling effect. Other notes include tangerine, lemon, patchouli, tonka bean, sage, wormwood, and sandalwood. The sillage and longevity are also quite moderate, though quite noticeably heavier than Polo Blue. Both Polo Blue and Polo Black are excellent fragrances. Polo Black is the choice if you prefer a heavier, bolder scent. However, if you prefer something lighter and fresher, then Polo Blue is the way to go.